Once again Uber has raised the bar on new driver partner bonuses. For a limited time, it is offering new drivers in the San Francisco bay area a whopping $1,200 in cash bonus!! This is the highest rideshare driver bonus offer so far this year. In the past few months, Uber’s driver bonus offers for the bay area have increased from $350 to $750, then to $1,000, and now it is at $1,200. 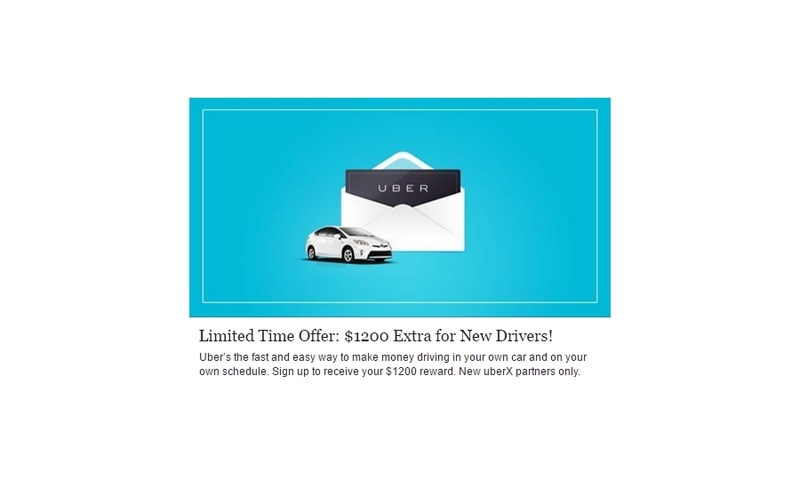 To quality for the bonus, the new driver simply signs up to drive with Uber using an existing driver’s referral code, then complete 100 rides after account activation. It is that simple! If you have been thinking about driving with Uber, now is the time. Grab the bonus now before the offer expires.